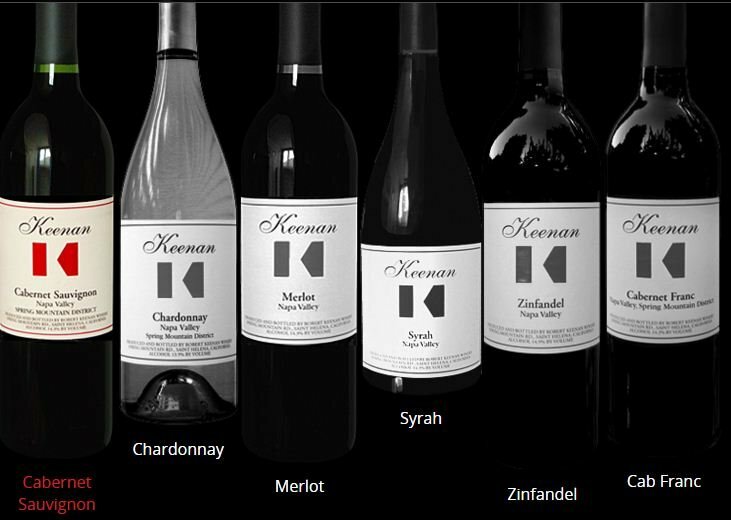 Keenan Winery and Vineyards is recognized as a pioneering vineyard of the Spring Mountain District; Peter Conradi planted vineyards there in the late 19th century; in 1974, Robert Keenan, Michael Keenan's father, purchased 180 forested acres, including the original 100-acre site of the old Conradi vineyard. Robert re-planted with rows of Chardonnay, Cabernet Sauvignon and Merlot and used the foundation from the original stone winery to build a new winery in time for harvest in 1977. Each year as we approach the holiday season, we reflect on our good fortune that Robert Keenan followed his hunch about the potential for growing grapes on Spring Mountain, and each vintage of excellent Keenan Napa Valley Wines has confirmed for us that we're on the right track! To honor Robert Keenan's early commitment to Spring Mountain, one of the first steps we took when Michael Keenan took over responsibility for Keenan in 1998, was to begin an intensive replanting program of the whole estate. We focused on increasing soil health through organic farming and the use of organic compost and cover crops. We identified the best rootstock and clone for each grape variety, then we surveyed every square foot of our estate to pinpoint just the right location to plant each one. Because of Keenan Estates' high elevation and steep, rugged terrain surrounded by deeply forested land, we knew it was vital to insure efficient irrigation and be sure that each row was positioned to take advantage of optimum sunlight. These sustainable farming methods are complemented with labor intensive, hands-on practices and an intimate knowledge of each vineyard site. Today we believe that all 48 acres of pristine estate vineyards - planted to Cabernet Sauvignon, Cabernet Franc, Zinfandel and Chardonnay, Merlot Napa Valley wines - are now producing the very best quality fruit we can grow and the resulting wines are richly natural, complex, and classically structured; wines that truly reflect their mountainside terroir. In 2007 our solar power system went on-line and now supplies energy to the winery, administrative offices, and visitor hospitality areas, as well as to the homes located on the property. This environmentally pro-active energy source, combined with the sustainable farming practices of our estate vineyards resulted in certification of Keenan Estate as Napa Green Certified Land by the Napa Valley Vintners Association. For us, sustainable winegrowing means adhering to practices that maintain healthy Napa Valley vineyards, working to guarantee their productivity over the long haul, preserving them for future generations. But our efforts don't stop there: we believe that 'sustainable' shouldn't focus only on farming and reducing harmful environmental impacts - it also means conserving resources, reducing waste and pollution in the winery as well. And at Keenan, we take sustainability as part of our future business plan too - by continuing to focus on offering our customers and Napa wine club members quality wines at reasonable prices, recognizing and appreciating long-term loyalty and support from our Keenan Napa Valley winery team, and providing encouragement to the younger members of our family and team to become part of this wonderful lifestyle. Robert Keenan Winery produces nearly 14,000 cases per year. The reputation of the Keenan Merlots was solidified in 1988 when tastings of the Keenan Merlots against the world famous Petrus wines (Merlots) resulted in a virtual draw.